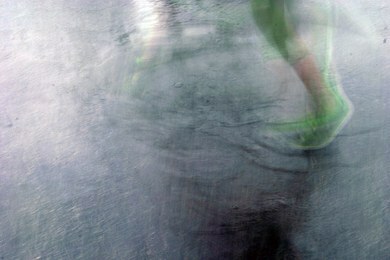 The combination of a slow shutter speed, puddles with reflections and an active child yield interesting results. 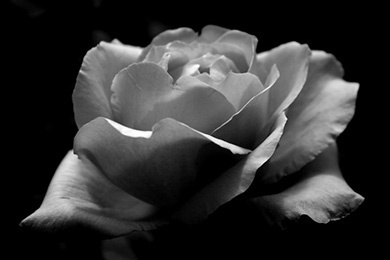 This rose was shot in an outdoor rose garden in Vancouver, BC and really was pink. You can never deny the fun for a child to run through and splash in the puddles after a late afternoon thunderstorm. Jason has acquired a new domain name JSmith.us. In the vast sea of Smith websites it is nice to have a short domain name with no hyphens that is easy to remember! He phased out JS-Photos.com and has merged his photography and painting with WestRimDesigns.com. He performed a much needed facelift to incorporate responsive design utilizing the Skeleton Framework so the site is mobile and tablet friendly as well. A couple years ago Jason completed the conversion and renovation of a small (9 x 12) unfinished storage shed in to a studio. The majority of the project was completed with reclaimed and recycled materials. Lighting and power has been through the installation of a small solar system and is currently completely off-grid. Purchased materials amounted to less than $500 (not including solar system). The button below will allow you to scroll through the 20+ photos showing the progression of renovation. "Edge of Night" was accepted into the 2016 Holiday exhibit at Radius Gallery in Missoula, MT. "Over the Horizon" was accepted into the 2016 Georgetown Art Hop and "Turbulence" was accepted into the Third Coast National Exhibit hosted by the K-Space Contemporary Art Center in Corpus Christi. 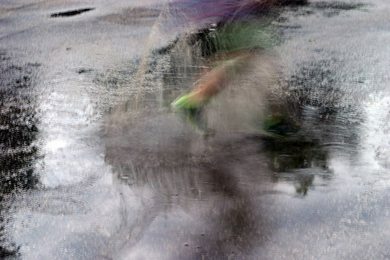 "Puddle Jumping" and "Rainy Day Fun" ended a photographic drought period of 3 years and were included in the 2015 Georgetown Art Hop. "Morning Commute" from the Grand Canyon collection was also selected for the 2010 Fall American Photographic Exhibit hosted annually by the Hubbard Museum of the American West (a Smithsonian Affiliate) in Ruidoso Downs, New Mexico.